The project aims to reduce maternal and neonatal mortality and morbidity while supporting the country's national strategy for reproductive healthcare in Nouakchott, Mauritania. The health situation in Nouakchott is very precarious. Comprehensive care in Reproductive Health is inadequate, including the national reference structures. Maternal mortality is of 686 per 100,000 live births, and infant mortality of 12.2% before the age of 5 (27% during the neonatal period). Neonatal mortality is of 42‰ in rural areas compared with 39‰ in Nouakchott, which hosts 95% of pregnancies and 75% of midwives and pediatricians in the country. 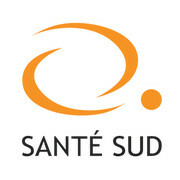 The main objective of the project supported by the Sanofi Espoir Foundation, Santé Sud, and partners, is to reduce maternal and neonatal mortality and morbidity and support the rollout of a national strategy for reproductive healthcare. The project’s priorities are to boost the capacity of health personnel in care for newborn babies, provide access to maternal and neonatal functional care, and inform and educate civil society in Sebkha and the general public about maternal and newborn health. This action meshes completely with the strategies for the “National Health and Social Action Policy 2006-2015” which focuses on revitalizing the community approach so that all communities have access to basic healthcare. In 2013, achieved to train 106 health professionals.